Teenage girl gift ideas. Don’t we all need those?! Teen girls. They have to be one of the hardest groups to buy for. 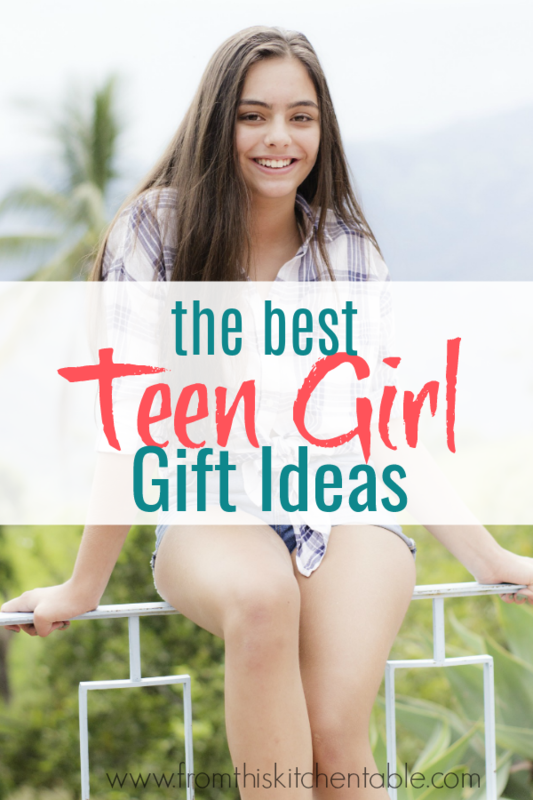 You might be birthday shopping or maybe you are looking for Christmas gifts for teen girls. I’m excited for you to meet two of my sisters (maybe someday you’ll meet them all – there are 4 more! ), Kara and Julia. As a sophomore and senior, they are the perfect ones to write this gift guide (and they have good style to boot). They wrote this post to moms, but take the ideas and buy for any teenage girl in your life. Remember, I’d recommend that you research any media or book suggestions before you purchase them for your child (or if you are buying for someone else’s child, run it buy their parents first) as each family has different guidelines. Now, here’s Kara and Julia! Teenagers can be very hard to buy presents for sometimes. As the years go by, it gets more and more difficult. 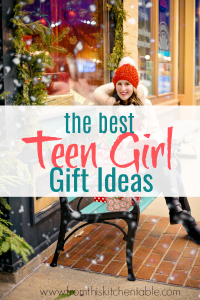 So, coming from two teenage girls, here are some teenage girl gift ideas that we and most other teen girls would love to receive. If you know your daughter’s style and favorite store, any teenage girl would LOVE to have more clothes to add to their closet. Some of the popular stores for teens: Target, Forever 21, Aeropostale, Hollister, and Wet Seal. Girls like to change their phone cases just as much as they like to change outfits. One of my favorite places for cases is Wallflower Designs. You can also look at Amazon. Let’s be honest, who wouldn’t be happy with receiving money. You can do whatever you want with it: save it, buy a favorite thing, or spend it on anything else you want. Most girls love to watch movies. It’s the best to cuddle up on the couch and watch a good film. I have a collection of movies that I keep stored up in my room that I can just pull off the shelf anytime I want to. One of my personal favorites is The Avengers. Just like movies, teens LOVE music. We could listen to it all day if our parents would let us. I keep a collection of CD’s in my room just like I do with movies. If your child isn’t an album kind of person, get them an itunes gift card… which brings us to the next suggestion. I just love the Imagine Dragon’s album Night Visions. Don’t know what types of music, clothes, jewelry, etc. your child likes? Well, gift cards are always a safe bet. It allows your child to be assured that they actually will get what they like. You can easily buy a gift card from your daughter’s favorite store, but if you’re not sure, you can never go wrong with iTunes, Starbucks (or any other food place), or any of the clothing stores I listed above. Don’t forget you can use your Swabucks to buy these! Any girl would be happy to receive any kind of jewelry – rings, bracelets, necklaces, earrings, or anything else you can think of. I just love it when someone buys me an adorable necklace or a cute bracelet. You can find jewelry at almost any clothing store and even online. If you know their style and know they would love it, surprise them, but some teen girls can be pretty picky. You could make a date out of it and take her jewelry shopping so she could pick out her favorites. For your daughter that loves to read, any book would be the best gift ever. Check and see if she is missing any from her collections of favorite novels. You can look through her bookcase to get her taste in books. If you’re still not sure, one of our top favorite books ever is The Hunger Games by Suzanne Collins. I know for me, I absolutely love body spray. It is my number one must have before I leave the house. Not only do I get lots of compliments from friends, but also it is a great way to smell fresh all day long. Bath and Body Works is always a given for a great place to buy from. This is a must have. Christmas is that time to fill yourself on foods that aren’t good for you. So why not go all out on one day? Just fill your daughter’s stocking with cookies, candy, gum, etc. Even if you have a daughter who is into eating healthy, you can still get tasty energy bars and healthy snacks she’d love! Accessories are a HUGE part of a girl’s wardrobe. Scarves, hats, sunglasses, shoes, purses and you name it. Last Christmas this was all I asked for from friends. I loved it. You can easily dress up a casual shirt with a hat and scarf, and it’s super cute. Forever 21 has ADORABLE accessories, and you can find more at Target, Walmart, Payless (or any local shoe store) and basically any clothing store. Depending on your budget, you can mix and match any of these options to create an awesome gift. We can be picky but we’ll love anything you give us. Thank you, sisters! Hooray for ideas for Christmas gifts for teen girls. If you have questions for them or want to run a gift by them, ask in the comments! What are you favorite teenage girl gift ideas? 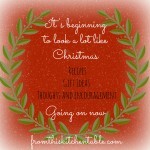 This is the fifth post in the Christmas series at From this Kitchen Table. (Find all the posts here.) Be sure to come back for the next post – a recipe for a Gingerbread Latte. You can follow us on Facebook or subscribe by e-mail to be sure you don’t miss out! 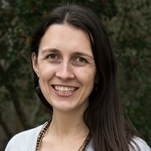 This entry was posted in Christmas on December 11, 2013 by Deanna Michaels. Great suggestions! Looks like a lot of the things my 13 year old likes. This is such a great list. Thank you for linking it up to Thrifty Thursday. Thanks! Glad I have a few teen sisters who could help me out. 🙂 Thanks for hosting every week! I don’t have teens yet, but I like a lot of these things too, especially The Hunger Games books and Imagine Dragons. My hubby took me to their concert for my birthday this year. So fun! Great post! You are right, they are all pretty fun ideas! I had never heard of Imagine Dragons before they sent me this, but my husband said they were cool too. What an awesome birthday adventure. I really should check them out! These are fun 🙂 Thank you for sharing! Thanks! I was happy that I had a couple of teen sisters willing to help me out! They are pretty awesome. These are well thought out ideas!! Thanks for sharing them. Thank you! I’m glad I had a couple of younger sisters to help me out. This list was CLEARLY written by someone who knows teenage girls! I have pinned this to my “children” board on Pinterest. Ha ha, thanks and thanks for pinning! I am glad I had a couple of teenage sisters to help me out on this one! I do have a teenage girl and I agree with all of these! What a great list! I always tell people to do gift cards for her becasue then she can get exactly what she wants and it gives us a fun shopping date together! I am going to share this becasue I find most people dont know what to get teenagers! Thanks for linking up with us for MMM link up! Glad they are all on target for your daughter! I’m glad I have a couple of sisters willing to help me out on the list. The shopping date things is a great idea! Excellent suggestions! I have a teenage daughters and she wanted gift cards, cash, soy candles and clothes / scarfs from her favorite boutique downtown. I think I did pretty well this year. 🙂 Visiting from the PINcentive Blog Hop! All teenage girls might be the same. 🙂 I’m sure she’ll be thrilled when she opens her presents up on Christmas! Thanks for stopping by. I’m sorry that you don’t like any of the ideas! There are ideas both of my sisters came up with. I think the most important thing as a gift giver is to know the person you are buying for. 🙂 Hopefully those shopping for you will know your tastes! Have a great Christmas.